Here is a great combination of flavors to keep your summer alive and begin the fall. 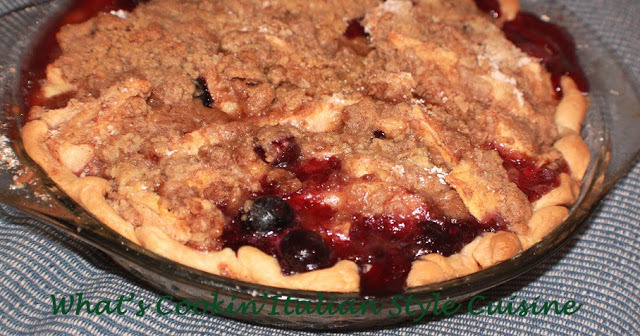 There is nothing like the smell of homemade apple pie and the blueberries still give you the taste of summer. The best of both worlds in one crust! The topping is a mixture of cinnamon, flour, butter and brown sugar. The Dutch Crumb topping for me is the best part to save for last! Clean, pare and slice apples. In a medium size bowl add the apples, blueberries, corn starch, sugar, lemon juice and cinnamon. Mix together until well blended. 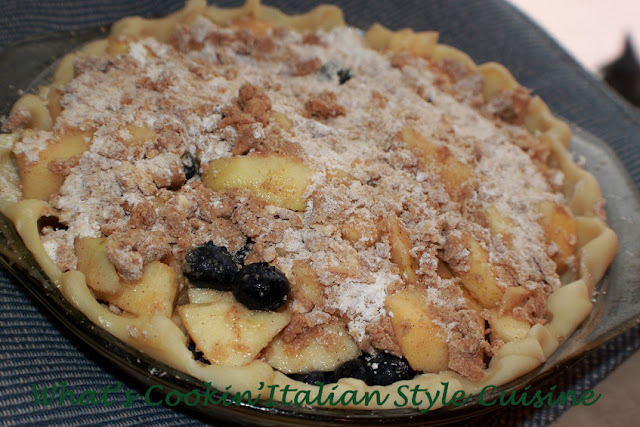 Place the apple/blueberry mixture in prepared pie crust dish, sprinkle with Dutch crumb topping. Bake on 350 until browned and bubbling around 45 minutes.